Editor's Note: Expedition News misfired last month, hence you may have received two separate emails from us. The latter version of EN was the correct one. You can also read the June issue at www.expeditionnews.com. We apologize for the inconvenience. NASA, NSF PLUNGE INTO OCEAN "TWILIGHT ZONE"
A large multidisciplinary team of scientists, equipped with advanced underwater robotics and an array of analytical instrumentation, will set sail for the northeastern Pacific Ocean next month. The team's mission for NASA and the National Science Foundation (NSF) is to study the life and death of the small organisms that play a critical role in removing carbon dioxide from the atmosphere and in the ocean's carbon cycle. More than 100 scientists and crew from more than 20 research institutions will embark from Seattle for NASA's Export Processes in the Ocean from Remote Sensing (EXPORTS) oceanographic campaign. EXPORTS is the first coordinated multidisciplinary science campaign of its kind to study the fates and carbon cycle impacts of microscopic plankton using two research vessels and several underwater robotic platforms. 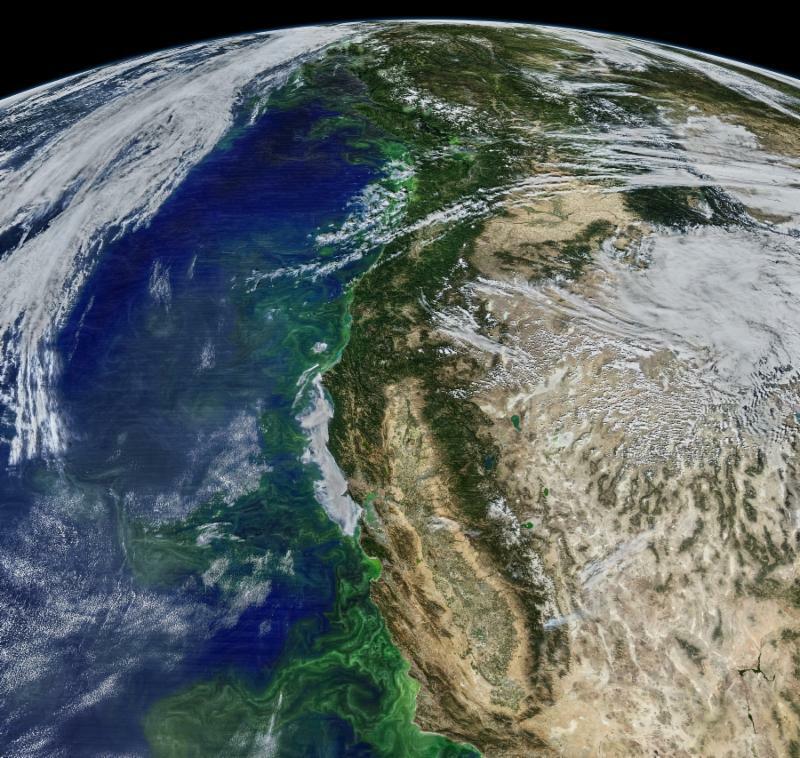 The Pacific Ocean teems with phytoplankton along the West Coast of the United States, as captured by the MODIS instrument on NASA's Aqua satellite. Satellites can track phytoplankton blooms, which occur when these plant-like organisms receive optimal amounts of sunlight and nutrients. Phytoplankton play an important role in removing atmospheric carbon dioxide. Photo courtesy of NASA. The research vessels, the R/V Revelle and R/V Sally Ride, operated by the Scripps Institution of Oceanography, University of California San Diego, will sail west 200 miles into the open ocean. From these seaborne laboratories, researchers will explore the plankton, as well as the chemical and physical properties of the ocean from the surface to one half-mile below into the twilight zone, a region with little or no sunlight where the carbon from the plankton can be sequestered, or kept out of the atmosphere, for periods ranging from decades to thousands of years. Bioluminescent Life Forever stamps introduced earlier this year celebrate life-forms that create their own light and perform a variety of functions, including support for medical research. 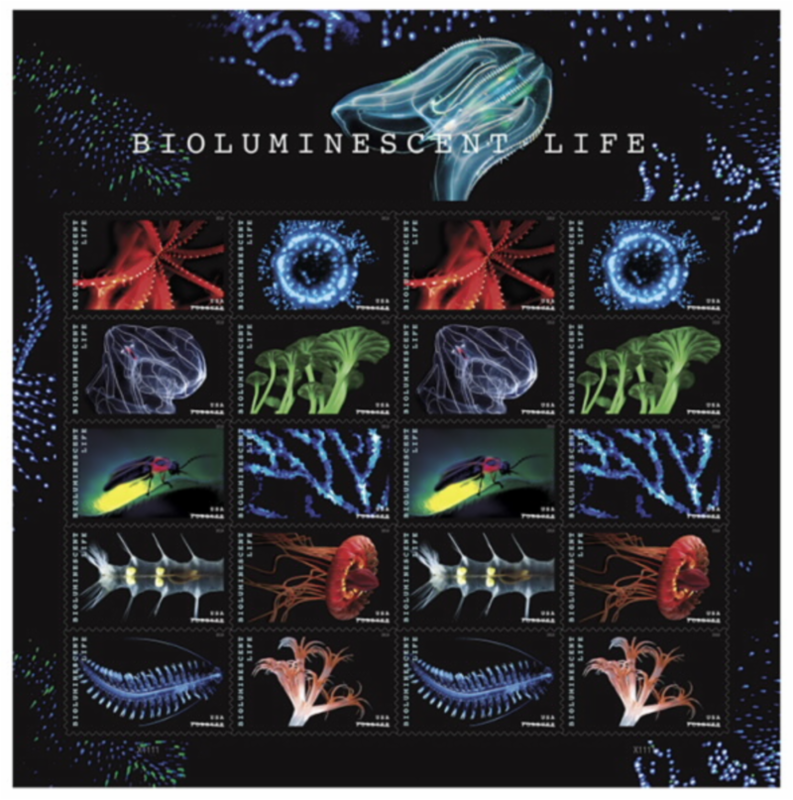 The 50-cent stamps, 10 examples of Bioluminescent Life on sheets of 20 stamps, include glowing marine species, a firefly and a cluster of mushrooms captured on the surface. The shimmering stamps were created so that they reflect light to mimic the effect of bioluminescence. Fairly rare among species on land, bioluminescence reigns supreme in the darkness of the deep ocean. Fishes, squids, jellyfish, worms and many other ocean organisms make varied use of their ability to glow. Their light can lure food, attract a mate or fend off a predator. "May your trails be crooked, winding, lonesome, dangerous, leading to the most amazing view. May your mountains rise into and above the clouds. May your rivers flow without end, meandering through pastoral valleys tinkling with bells, past temples and castles and poets towers into a dark primeval forest where tigers belch and monkeys howl, through miasmal and mysterious swamps and down into a desert of red rock, blue mesas, domes and pinnacles and grottos of endless stone, and down again into a deep vast ancient unknown chasm where bars of sunlight blaze on profiled cliffs, where deer walk across the white sand beaches, where storms come and go as lightning clangs upon the high crags, where something strange and more beautiful and more full of wonder than your deepest dreams waits for you - beyond that next turning of the canyon walls." NIH Record, March 20, 2009. A host of products promise to radically change the lives of the visually impaired, including one noted adventurer, according to Chris Kornelis, writing in the May 28 Wall Street Journal. 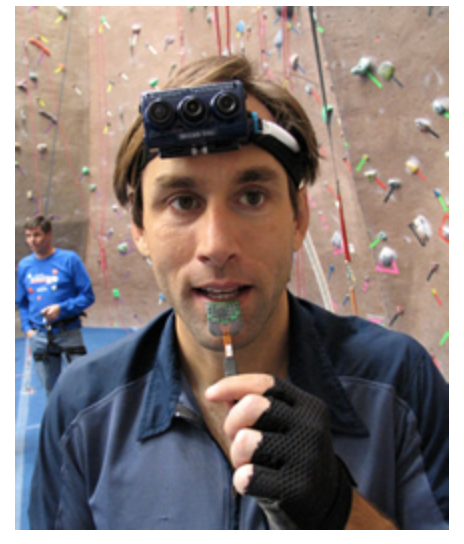 "Since losing his vision at age 13, Erik Weihenmayer has summited Mount Everest, white-water rafted and climbed frozen waterfalls. But making soup in his kitchen presented a unique challenge. On a frozen waterfall he could tap his ax against the ice to get a feel for its density, but in the kitchen, he had no way to differentiate between cans of tomato and chicken noodle," Kornelis writes. "Mr. Weihenmayer, 49 years old, found a solution in Microsoft Corp.'s Seeing AI, a free app for the visually impaired. Among other things, the app can recognize faces, identify money, read handwriting and scan bar codes to differentiate between cans of soup." Seeing AI is one of the artificial-intelligence-powered products that are helping blind and vision-impaired people live more independently. Microsoft says it has no plans to monetize the app, which launched in 2017, calling it part of the company's efforts to empower all people, including those with disabilities. Weihenmayer, for example, uses Comcast 's voice remote to find TV shows, Apple's Siri to send texts and Amazon's Alexa to cue up his favorite music, according to the story. He also uses a product called Aira, which employs glasses with a camera, sensors and network connectivity to connect the visually impaired to human agents, who act as visual interpreters. The reps can describe users' surroundings and assist them with tasks such as online searches. "I think this technology gives people the confidence to go out and explore unknown areas where you just might be a little bit hesitant to go out as a blind person," says Weihenmayer, a co-founder of No Barriers, a nonprofit that supports and advocates for people with disabilities. Should We Return to the Moon? 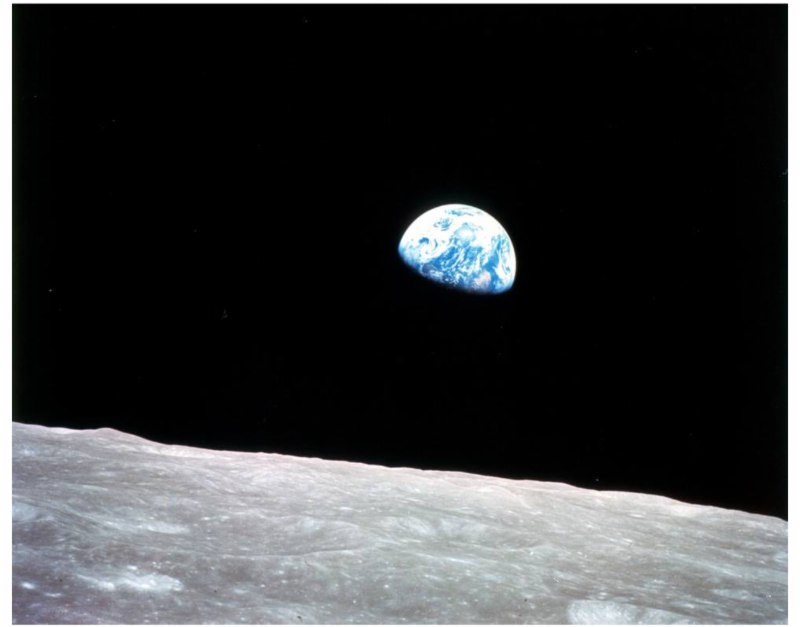 As the 50th anniversary of Apollo 8's historic lunar orbit approaches later this year, NASA is planning to repeat the feat with an unmanned mission in 2019. Costco Connection, the monthly magazine sent to 12 million Costco members, debated the merits of returning to the moon in its May 2018 issue. Voting a resounding "yes," is Robert Zubrin, president of the Mars Society. "Astronauts should be explorers of new worlds. The moment is at hand to open the final frontier. America should seize it," he writes. Taking an opposing view is Amitai Etzioni, the author of The Moon-Doggle (Doubleday & Company, Inc., 1964). He writes, "Explorations of the moon (and other deep-space ventures) have shown that they yield relatively little compared with near-space enterprises, which include communications satellites ... Claims that exploring the moon will allow us to come closer to understanding the origins of the universe or of life, or help us solve the mysteries of existence, are rhetorical flourishes." Experts Say Loss of Arctic Archeological Sites a "Catastrophe"
For thousands of years, the Arctic has functioned as a time capsule where evidence of past cultures and environments has remained remarkably well preserved. But archeologists are discovering that much of that evidence has been destroyed in less than a generation, owing to the accelerating effects of climate change, writes Ivan Semeniuk, science reporter of the Globe and Mail (June 27). "Unless a concerted effort is made to rescue what is left, they say, a vast treasury of knowledge about the humanity's presence at the world's northern extremes will be wiped from existence." "It's a catastrophe. A majority of sites, including many of the most important ones, are already gone," said Max Friesen, an Arctic archeologist at the University of Toronto and a member of an international team that has been taking stock of the damage. The group's findings, published last month in the research journal Antiquity, suggest the situation is desperate, with far more sites set to vanish than scientists have the time or resources to document. 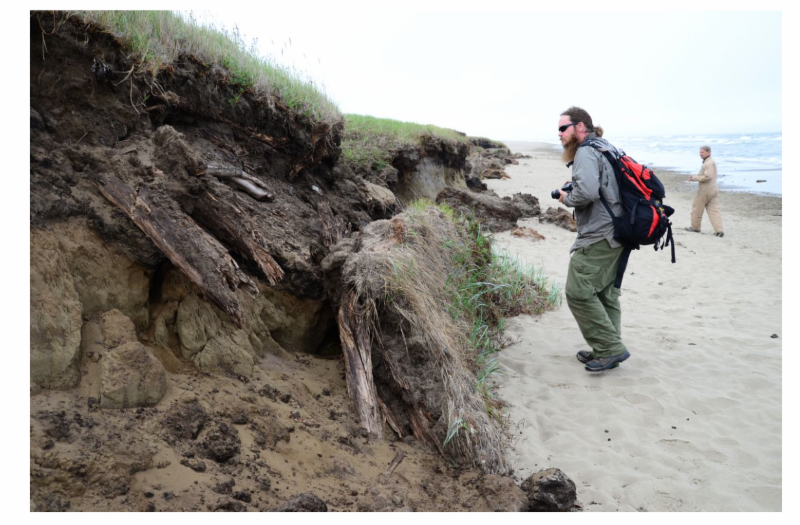 Erosion is a major threat, Friesen said, because so many northern archeological sites occur along coastlines where people lived off fish and other marine resources. As sites disappear, Friesen added, they also take with them an irreplaceable record of the plants and animals that were present and used by people who lived in a particular place and time. People actively dislike funding what appears to be a vacation. People tend to mostly fund only people they know. You'll have more luck if a product is involved, such as a book or film. Funding increases if there's a charity involved. It can create more costs and more work, especially if you need to create expedition-related imprinted items to reward donors. You may need to top off the funds - sometimes if an explorer or adventurer doesn't put in their own funds, they won't reach the target and thus will receive nothing. One advantage to doing so is that donors are more inclined if the individual/team were putting in a sizable chunk of the money themselves. A tool of the people. In 1983, after eight years of perseverance, Tim Leatherman created the world's first multi-tool, and it became an icon. Over the last 35 years, Leatherman multi-tools have prepared people around the world to tackle challenges, and in some cases have even saved lives. Now, the creator of the original multi-tool wants to inspire and support the next generation of doers who may someday save the day and change the world. 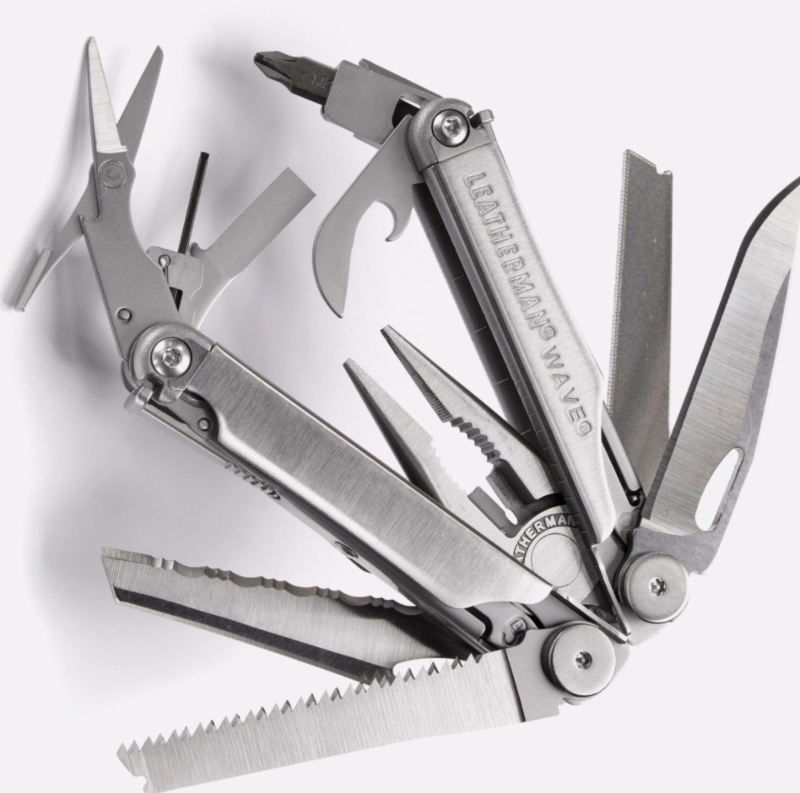 The inaugural Leatherman Grant Program will donate $100,000 to support non-profit organizations that aim to inspire, prepare, and develop the next generation of problem solvers. "We created this grant program to provide funds for fresh innovative ideas that have the potential to make a big impact. We hope we can enable someone to make their mark and make a difference," said Leatherman, co-founder and chairman of the board. Grant applications will be accepted through August 31, 2018. All 501(c)3 organizations or the global equivalent are eligible to apply for funding ranging from $5,000 to $15,000. A team of Leatherman employees including Tim Leatherman will choose 10 to 15 grantees by October 2018. Application deadline is August 31, 2018. 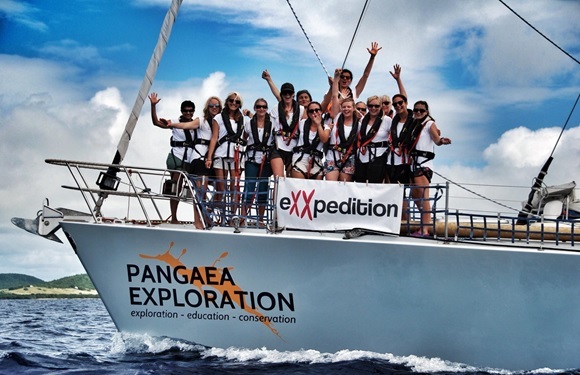 Princess Yachts have lent their support to all-female environmental voyage eXXpedition, which aims to shed light on the impact of plastic on the environment and human health. eXXpedition North Pacific 2018 is an all-female sailing expedition and scientific research mission that will study the crisis of plastics in the oceans. The crew will be sailing the North Pacific Gyre in Sea Dragon, a 72-ft. scientific exploration vessel (owned by Pangaea Exploration), from Oahu to Vancouver (through July 14), and then from Vancouver to Seattle (July 21 - July 28, 2018) where the journey will end. The project is led by British skipper and ocean advocate Emily Penn, according to the story in Yachting & Boating World (Mar. 16, 2018). The eXXpedition crew is made up of 24 female scientists, students, artists, filmmakers, business women, psychologists, actors, ocean activists and sustainability professionals, and novice as well as experienced sailors, traveling 3,000 nautical miles. The expedition aims to raise awareness of the impact of single-use plastic and toxics in the world's oceans; celebrate women in science, leadership and adventure; create a community of female change-makers and inspiring global ambassadors to tackle the environmental and health impacts of plastic pollution; and champion and contribute to innovative scientific research to tackle the crisis. Climbing rope brand Sterling wants all climbers, explorers and adventurers to think about their brand when they head to the hills. They recently announced an international treasure hunt and Instagram contest to celebrate its 25th anniversary. From June to November, Sterling will be partnering with Access Fund (@AccessFund) and the American Alpine Club (@AmericanAlpine) to place wooden #Sterling25 markers at 25 different crags across the US and Canada - anywhere from the trailhead to the top of a climb - and clues will be posted by @SterlingRope each week to help hunters find them. 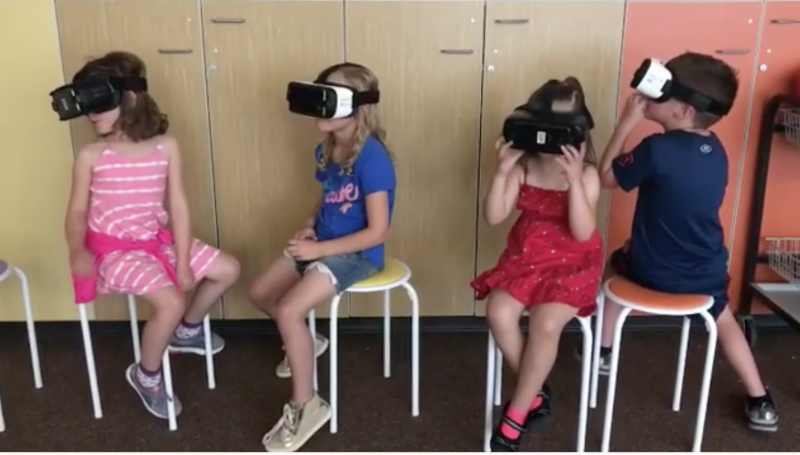 Yet another use for virtual reality is to expose students to experiences they might not otherwise get to see, as in the case of these landlocked students from Red Hawk Elementary School in Erie, Colorado. The Instagram video posted by Ocean First Institute shows the kids had a busy afternoon, first "diving" in protected waters of Indonesia, then off to a shipwreck in the British Virgin Islands. Ocean First Institute, based in Boulder, Colorado, is a non-profit dedicated to creating impassioned, young ocean stewards by way of education and experience. The organization connects youth with the wonders of the ocean and the importance of hands-on conservation through programming that highlights scientific exploration. Its in-person and virtual education programs have inspired over 100,000 students across the world to take action in their local communities, while its field-based research expeditions have exposed students to the rigors of the scientific process and how it contributes to the real-world value of conservation. Exposure to microgravity has caused eye problems in 76% of astronauts deployed on prolonged space missions. NASA calls it "Spaceflight Associated Neuro-Ocular Syndrome." Astronauts call it "Space Scurvy." Source: Christopher Teng, Yale School of Medicine Ophthalmology Professor, who was part of a NASA team using parabolic flights to test the effects of low gravity conditions on human physiology. Employing a special contact lens embedded with a sensor, Teng measured changes in the curvature of the cornea, which correspond to fluctuations in eye pressure. It measured real-time changes in intraocular pressure during parabolic flight. Last month, NASA's "Gravitational Dose and Multi-System Physiologic Response" team gathered aboard a parabolic flight aircraft in Bordeaux, France, and were joined by eight life science experiments from Germany, Netherlands, UK, France, and USA. On-board gravity ranged from nearly double that of Earth's, down to one-quarter gravity, which is less than the gravity on Mars, but much more than the Moon's. In the June issue of EN we referred to "icefall doctors" fixing lines to the summit. The original information was sourced to Explorersweb.com. That was not entirely correct, as pointed out by one eagle-eyed reader. Something I think you may want to know: the "Icefall Doctors" are a team of Nepali climbers (usually Sherpa) whose job is to fix the lines across the Khumbu Icefall between base camp and camp 1 and I believe they fix the ropes to camp 2 as well. That's their specific job and unlike what many people think they are not necessarily expert climbers at all. Sometimes they do a good job at fixing anchors and sometimes they don't. I think in general their work seems to be improving. The ropes above that (to camp 3, 4 and the summit) are not fixed by the icefall doctors but by the Sherpas of the guiding companies. So I don't think it's correct to say that the icefall doctors fixed lines to the summit. "Ricardo is entirely correct. We erred. "We've changed the copy accordingly so that readers referring back to that (Everest) round-up will not be misled, and we've added an editorial note at the end pointing out the belated correction. "Thanks for letting us know. As every publisher knows, errors inevitably creep in from time to time, but we'll continue to do our best to minimize them." 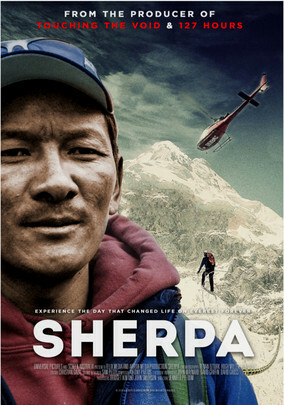 For an up close and personal look at the life of Sherpas, including the dangers Icefall Doctors face every climbing season, watch Sherpa on Netflix. Beginning as an account of a 2014 expedition up Mount Everest from the perspective of the unheralded Sherpas who make such climbs possible, this riveting 2015 documentary shifts focus when tragedy intervenes, killing 16 of the Himalayan guides. It's not too soon to plan to attend Explore 2018, the Royal Geographic Society's annual expedition and field research seminar held each November at its London headquarters. With over 90 leading field scientists and explorers, the Explore weekend will provide inspiration, advice and contacts for your own field research project or expedition. The emphasis is on small projects with a research component but anyone planning overseas expeditions or fieldwork is welcome - regardless of age or experience. Get Sponsored! 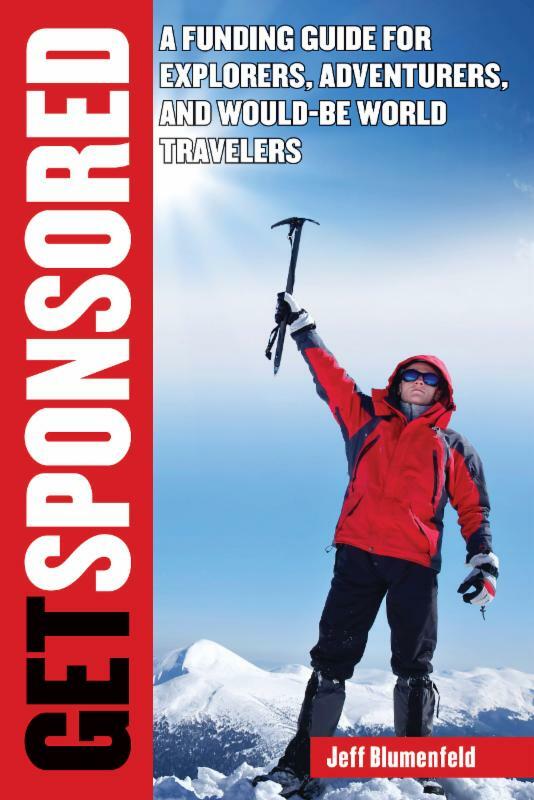 - Hundreds of explorers and adventurers raise money each month to travel on world class expeditions to Mt. Everest, Nepal, Antarctica and elsewhere. Now the techniques they use to pay for their journeys are available to anyone who has a dream adventure project in mind, according to the book from Skyhorse Publishing called: Get Sponsored: A Funding Guide for Explorers, Adventurers and Would Be World Travelers. EXPEDITION NEWS is published by Blumenfeld and Associates, LLC, 1877 Broadway, Suite 100, Boulder, CO 80302 USA. Tel. 203 326 1200, editor@expeditionnews.com. Editor/publisher: Jeff Blumenfeld. Research editor: Lee Kovel. ©2018 Blumenfeld and Associates, Inc. All rights reserved. ISSN: 1526-8977. Subscriptions: US$36/yr. available by e-mail only. Credit card payments accepted through www.paypal.com (made payable to blumassoc@aol.com). Read EXPEDITION NEWS at www.expeditionnews.com. Enjoy the EN blog at www.expeditionnews.blogspot.com.